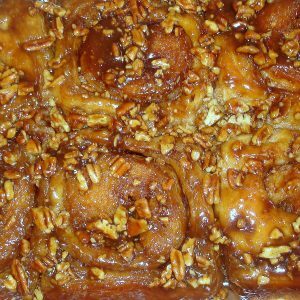 If you like pecans, you will love our sticky buns. We use a generous amount of chopped pecans on these. Large size (approx. 4″ x 4″).